This screen should only be used for records where YOU presented an item at a technical or professional conference or meeting. Presentation Type, if your item does not match what is in your list, choose “Other” and enter the Explanation of Other in the box below. 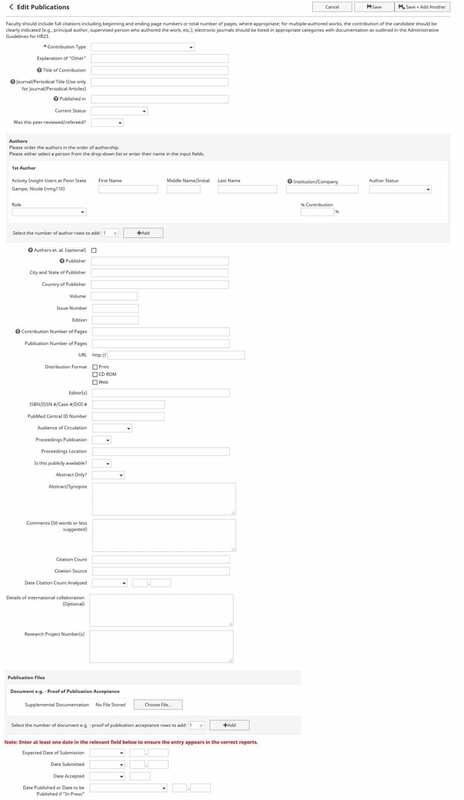 Not all colleges have access to this screen. If you feel your college needs access to this screen, please, speak to your Activity Insight College Administrator. 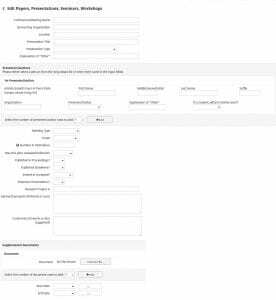 Type of Work – if your item does not match what is in your provided list, choose “Other” and enter the Explanation of Other in the box below. 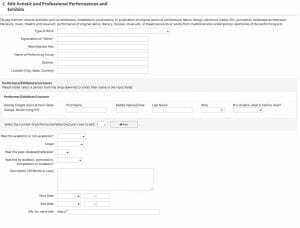 “[Work/Exhibit Title],” [Name of Performing Group], [Sponsor], [Location (City, State, Country)], [peer-reviewed/refereed], by [Was this by audition, commission, competition or invitation? ], [Was this academic or non-academic?]. ([Start Month Start Day, Start Year – End Month End Day, End Year]). http://[URL for more info]. Information on this screen appears under the Subheading of Published Works, it filters in with the Publication records. 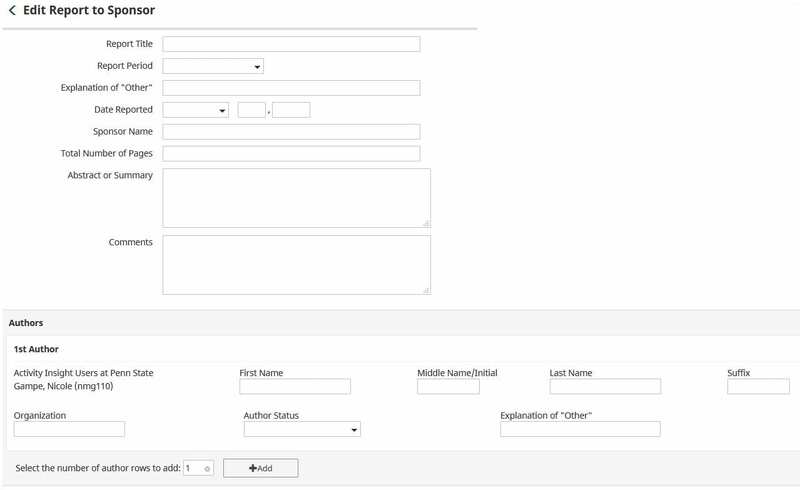 Contribution Type (required field) – if your item does not match what is in your list, choose “Other” and enter the Explanation of Other in the box below. 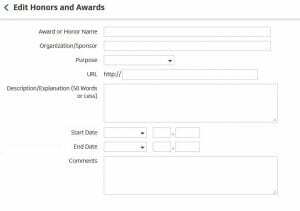 Authors – Enter all Authors (for more than six you can check the box for “Authors et. 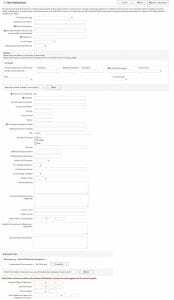 al.”) you only need to fill out Role and % Contribution for yourself, this will not print out for other authors. 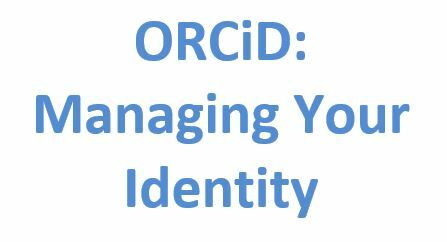 If the author is a student you supervised, when entering their name use Author Status (select one of Postdoctoral, Graduate Student, or Undergraduate Student) and Role (Supervised Student Author). 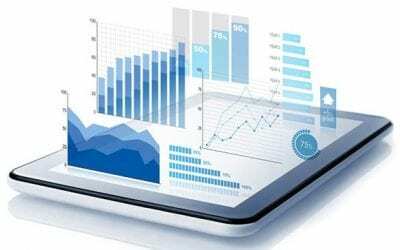 Applications of research scholarship in the field including new applications developed and tested; new or enhanced systems and procedures demonstrated or evaluated for government agencies, professional and industrial associations, educational institutions, etc. 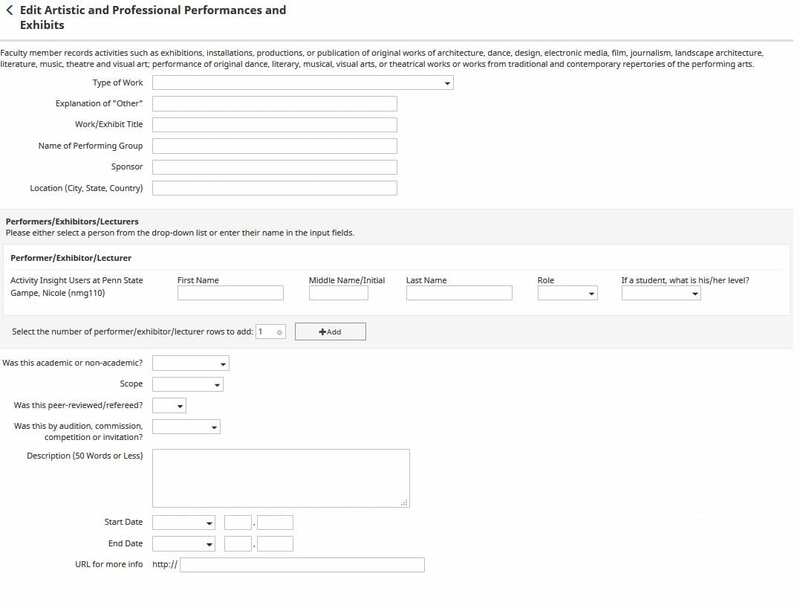 If there are unit-specific objective criteria used for assessing the scholarly substance and quality of the candidate’s achievement in research and creative accomplishment, list the candidate’s performance as measured by these criteria. 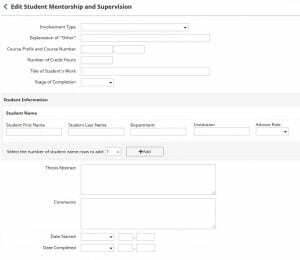 Supervision of, and membership on, graduate and undergraduate dissertations, theses, projects, etc..
Involvement Type, if you choose Other from the drop down list, make sure you fill out the “Explanation of Other” field as well. 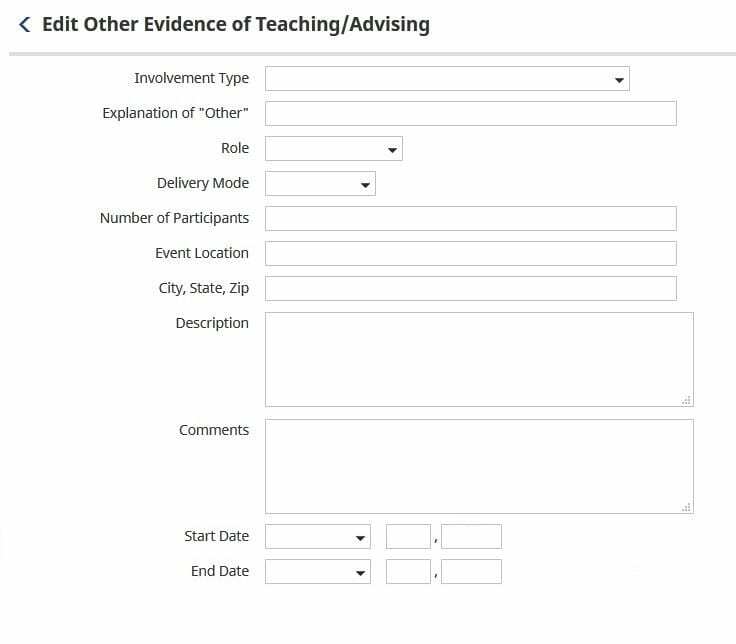 [[Student Last Name], [S. F. N.]], [list of [Student Information] as “[Student Last Name], [S. F. N.] ([Advisor Role, Institution, Department])”], [[Degree] or [Explanation of “Other”]], Presented at [Location of Presentation], “[Title of Student’s Work].” [Course] [Course Number], [Number of Credit Hours] [credit(s)]. ([Month Started Day Started, Year Started – Month Completed Day Completed, Year Completed]). 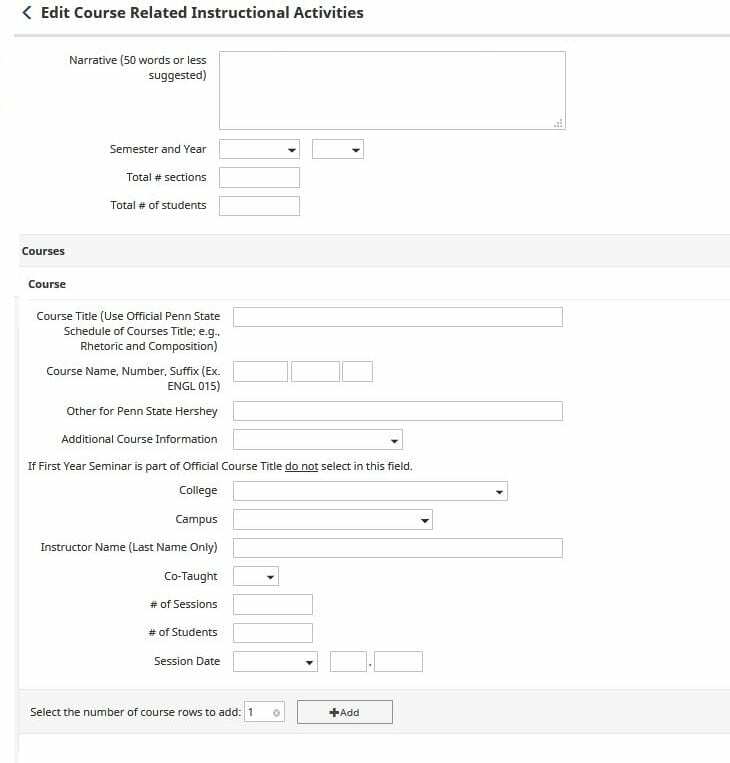 This screen ONLY appears for the College of Arts and Architecture, Capitol College, College of Engineering, College of the Liberal Arts, and Penn State Behrend. 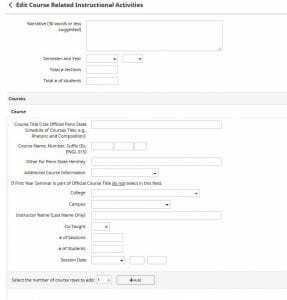 If you feel your college needs access to this screen, please, speak to your Activity Insight College Administrator. 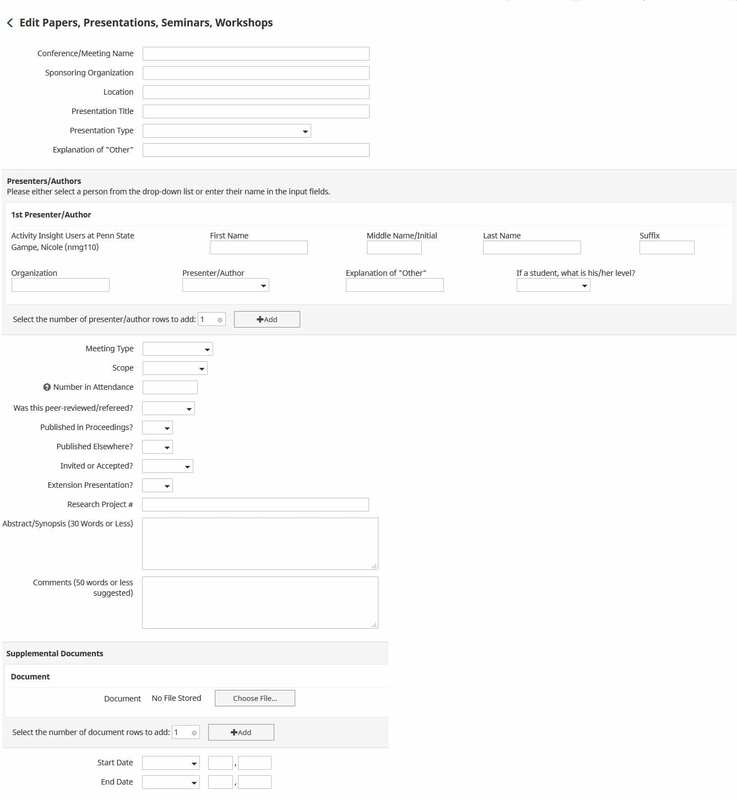 Involvement Type, if you choose “Other” from the drop down list be sure to fill out the Explanation of “Other” field below. These records should only be the Honors or Awards that YOU have received. 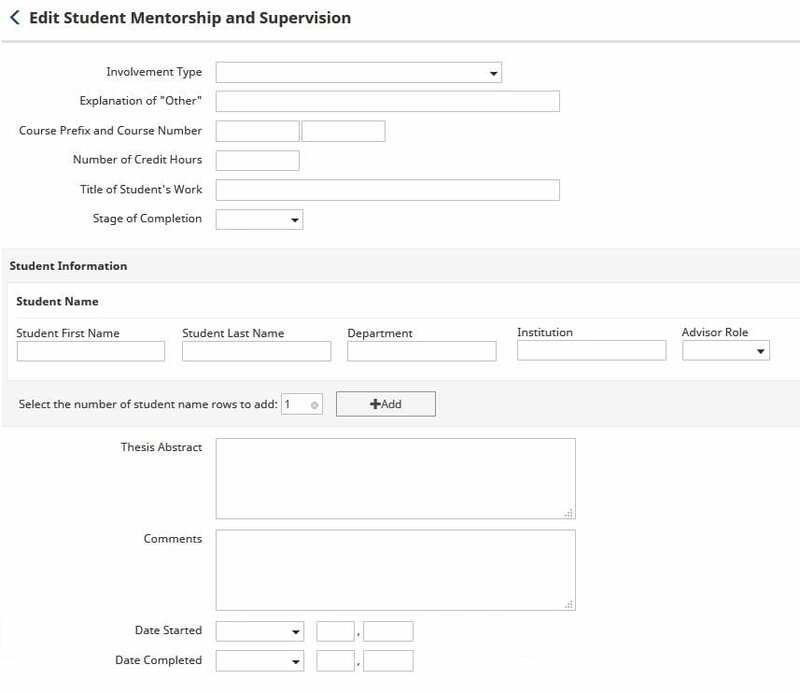 If your student received an honor or award that should be entered under the Student Mentorship and Supervision screen. 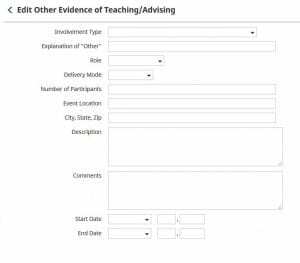 Purpose field, when selecting “Advising” or “Teaching” the records will appear in this section. 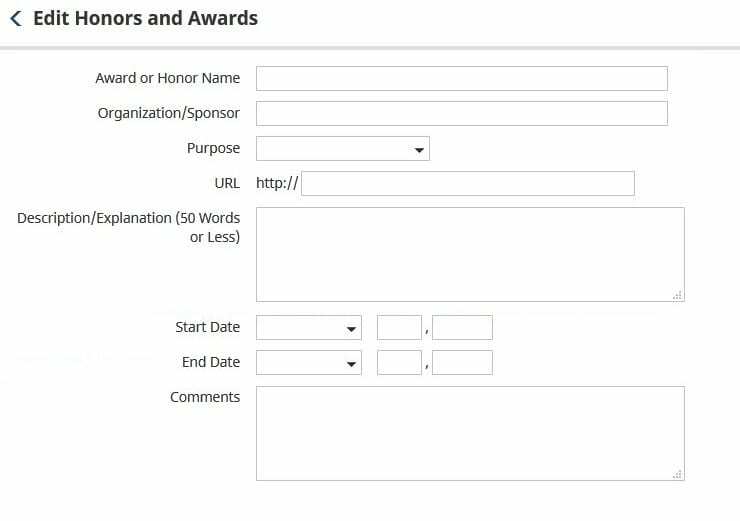 [Award or Honor Name], [Organization/Sponsor]. ([Start Month Start Day, Start Year – End Month End Day, End Year]). 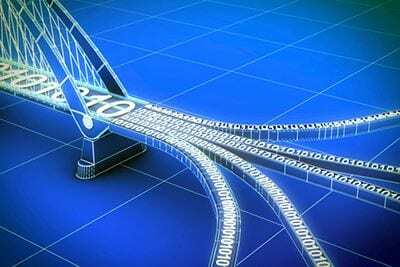 [Concatenation of: “http://“, “URL“]. 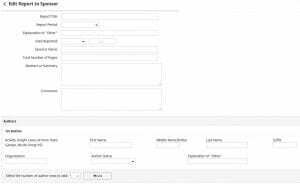 [Course Prefix] [Course Number][Course Number Suffix], [Course Title (Use Official Penn State Schedule of Courses Title; e.g., Rhetoric and Composition)]. 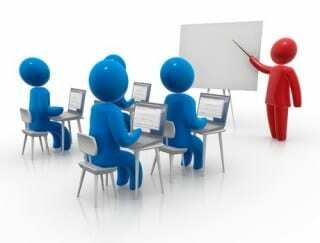 [Sum of “# of Students“] [student(s)]. [Sum of “# of Sessions“] [section(s)]. Where should membership in professional and learned societies be recorded? I’m having trouble with the Goals and Objectives screen. Can you help?